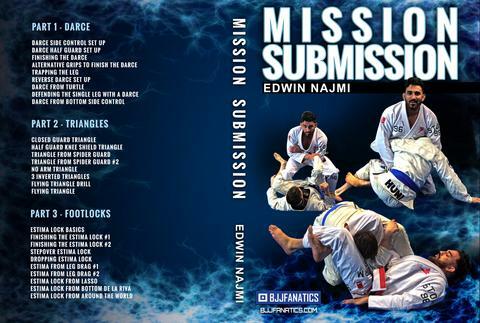 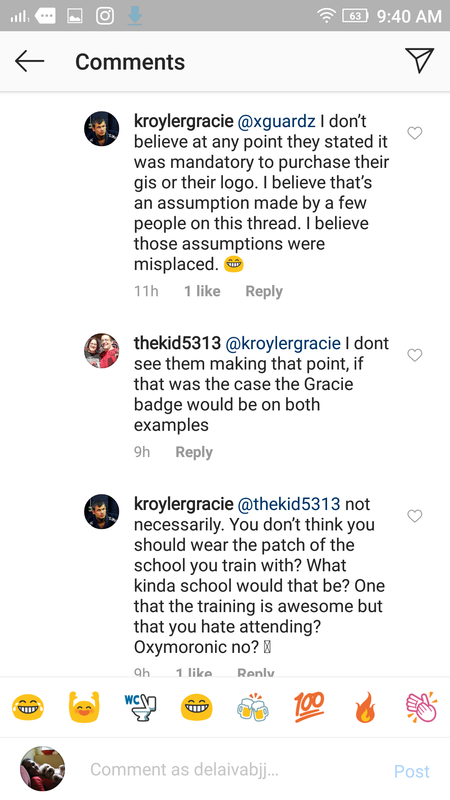 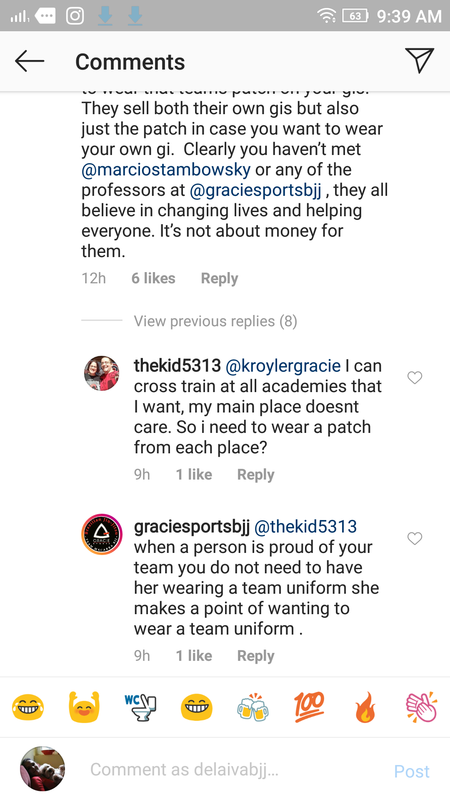 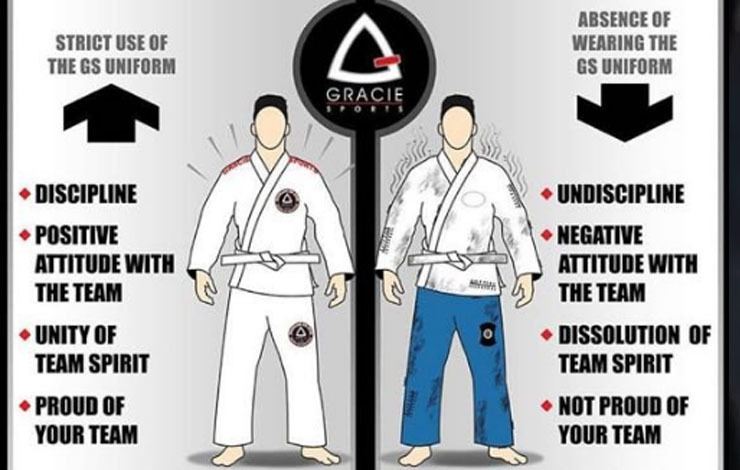 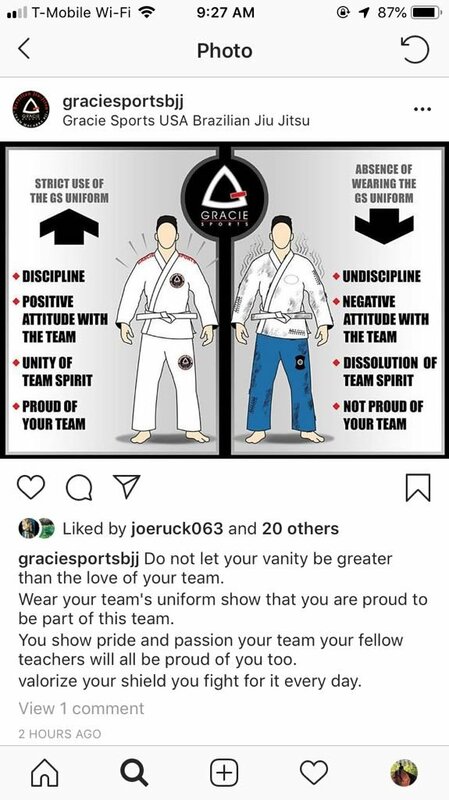 Still Neiman Gracie’s dad Marcio Stambowsky found a new way to reach culty highs – implying that if you wear a different gi or mismatch pants and jacket that means you are dirty and or hate your team! 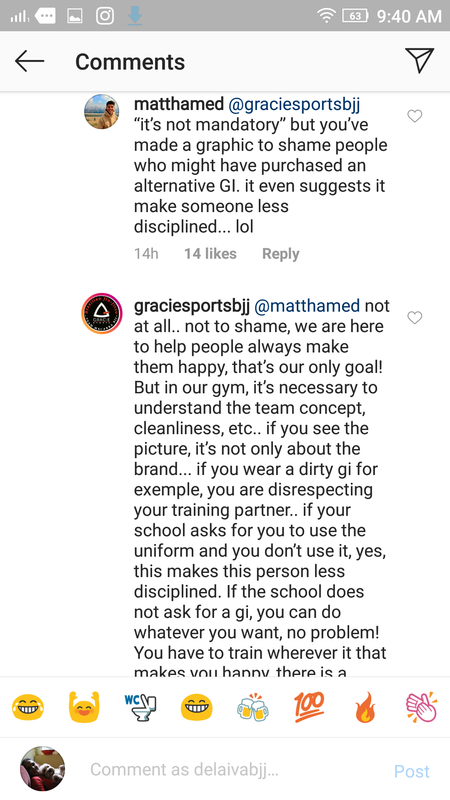 Naturally gracie sports is getting slaughtered in the comments for this outstanding display. 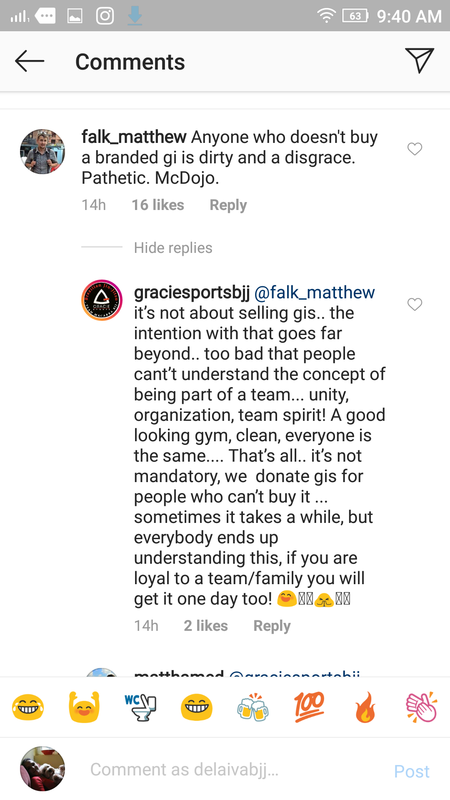 So much so that they had to resort to banning people deleting comments and in general trying to explain themselves.